The departure of an employee is a common occurrence and there are many reasons why one would choose to leave his work. Whatever the reason may be, it is not uncommon for an employer to receive requests from prospective employers for references of the departing/departed employee. An employee reference gives a prospective employer an additional source to evaluate the suitability and competency of a new candidate for the job. However, it is also important for companies to be aware of the potential risks when providing employee references. The recent seminal case of Ramesh s/o Krishnan v AXA Life Insurance Singapore Pte Ltd  4 SLR 1124 (“Ramesh v AXA”) highlighted the legal obligations owed by employers in writing an employee reference form. A former insurance agent, Ramesh, took up legal action against his former insurance firm, AXA Life Insurance Singapore, for negligently preparing a reference that led to Ramesh losing two job opportunities at other insurance companies. Ramesh filed for and succeeded in an action under negligence. The Court of Appeal found that the information mentioned in the reference, while factually true, was presented in a way that made the entire reference incomplete, misleading and unfair to Ramesh. Information was also withheld when requested for. As the age-old adage goes: With great power, comes great responsibility. Employers are normally not under any legal obligation to give employee references except for certain industries such as the financial advisory and insurance industry. However, should they write one, employers are obliged to take reasonable care to ensure that the reference is written fairly and accurately. But what does this mean in laymen terms? What is the potential legal liability of employers? When a reference letter is not prepared properly, employers may be liable under the Tort of Negligence, as was the case in Ramesh v AXA. In addition to the Tort of Negligence, a negligently prepared reference letter may also be subjected to liability under the tort of defamation and the Tort of Malicious Falsehood. The focus of this article will be on the liabilities under the Tort of Negligence. The law protects the employee’s interest in seeking new employment. After all, a poorly written reference letter jeopardises an employee’s opportunity to obtain fresh employment. Knowing your liabilities as an employer is the first step towards taking steps to prevent yourself from being subjected to a lawsuit from your former employee. Firstly, when writing an employee reference, the employer must take reasonable care to ensure that the reference is written based on true facts. As it is, facts are simply a description of an individual, be it personally or professionally, and needs no further explanation. A failure to take reasonable care to ensure accuracy would subject an employer to a potential lawsuit under the tort of negligence. Secondly, the facts must be accurate to ensure that the employee is represented in a fair manner. There is a subtle difference between “true” facts and “accurate” facts. While truthfulness pertains to the disclosed fact, accuracy means not misleading or unfair and pertains not only to what is disclosed, but also what is not being mentioned. This in turn affects the perception of the individual which the reference letter is describing. A statement of facts regarding an employee may be true, but if it conveys a misleading impression of the employee by, for example, describing only the negative aspects whilst leaving out the positive or noteworthy contributions of the employee, then it could render the reference incomplete, inaccurate or unfair. In the case of Ramesh v AXA, the Court of Appeal held that although the calculation of the 13-month persistency ratio to measure the performance and sustainability of insurance policies sold by Ramesh and his team was factually correct, it was unfair to only state the 13-month persistency ratio since the standard calculation method in the industry was based on a 19-month persistency ratio, which would have generated a higher percentage and thus reflecting better performance. This led the prospective insurance firms reading the reference letter to believe that Ramesh and his team did not perform effectively in the sales and maintenance of their client’s insurance policies. This was further deemed to have been selected unfairly when all along, the 19-month persistency ratio was the standard norm of calculation while Ramesh was working with AXA. Many a times, we tend to focus on the failures of others or negative things that they did, instead of remembering the good ones. Selection of facts must be objective. So long as it is relevant, any facts, positive or negative, must be stated down. Information is considered inaccurate if it is selected in an unfair manner, thereby generating an unfair and misleading impression of the employee. Therefore, employers are required to exercise fair judgment in disclosing all information that is relevant/related to whatever that is already disclosed, and not selectively disclose information. Withholding of such information would render the ones that are already disclosed incomplete, inaccurate or unfair. An example would be when the employer is required to describe the technical competency of the former employee. Besides choosing to disclose technical mistakes made by the former employee, the employer should also include the steps taken by the former employee to rectify the mistake, as well as subsequent performance when handling the same task. Sometimes, we tend to let our emotions get the better of us, especially when we dislike the person or if their interest happens to clash with us. It happens all the time at our workplace, and sometimes we take it personally. This is especially so in the business world where competitors are everywhere and the liquidity of manpower and talents are high. A fellow employee may one day decide to quit your firm and work for a rival’s, perhaps because the work environment is better or the pay more attractive. Whatever the cause, it might seem like a stab in your back, especially when you invested so much in hopes that your employee will continue working in your firm and contributing. You might be inclined to take it personally, perhaps out of anger or betrayal. Nevertheless, a reference letter should be professional and objective. Therefore, the way information in the reference letter must not only be selected fairly, but also written and presented in a fair manner. If it gives rise to a false or mistaken impression from the perspective of the recipient (i.e. prospective employer), the reference might be considered misleading or unfair. Some points to taken note is the tone that is used to present the information. The general guideline is that whatever that is presented should be as objective as possible, and that choice of words should largely be neutral and do not come across as sounding overly negative or hostile. If negative comments must be made regarding an unsatisfactory performance of a former employee, select the words appropriately according to the gravity of the mistake. An employer reference contains not just facts but also comments or inferences. If certain strong words or eye-catching qualifications are being used when writing adverse comments or inferences, the courts will scrutinise these statements more carefully. Employers should therefore be armed with certain facts that would reasonably justify such comments made. For example, if the former employee has only made minor errors of showing up late for work occasionally or provided feedback that might not seem favourable to you, avoid using harsh adjectives such as “incorrigible” or “disrespectful” to describe him or her. Qualifiers such as “all the time” or “frequently” are also important, as they represent the frequency of such actions having occurred and the wrong use of qualifiers can also mislead the recipients of the reference to form a wrong impression. Lastly, the Court of Appeal in Ramesh v AXA also highlighted certain information that should either be left out of a reference letter, or should only be included with appropriate qualifiers. Otherwise, this may unfairly cause the employer to cast doubt on the employee’s character and impugn his competency. complaints or allegations that are pending investigation that is disclosed to the recipient of the reference. Baseless complaints/allegations should not be disclosed if they were not conveyed to the employee. It should only be done if employers have explicitly stated that the complaints were baseless, and the employee was not informed at that time. Including such explanations would help prospective employers understand the situation better and not judge the applicant too hastily. The employee should also be informed concurrently of the complaint. But in any case, it would be best to not include these facts. Any allegations or complaints that are pending investigation that is disclosed to the recipient of the reference should be detailed in the reference and the recipient should be updated as the investigation progresses. Failing to do so would lead to the recipient being unclear as to the gravity of the misconduct that had been alleged, which in turn encourages the recipient to think that the employee’s misconduct that was alleged was serious, casting doubts on the employee’s character and impugning his competency. Besides facts, a reference letter may also contain certain comments or inferences that are made based on the facts. In some cases, these statements may be adverse in nature due to the negative fact(s) which it is based on. Therefore, with regards the gravity of adverse inferences and suggestion in the reference, the court will scrutinise the conduct of the employer (in making such inferences) closely to ensure that such suggestions or inferences are based on facts which are true and accurate and based on those facts, it was a fair and reasonable suggestion/inference to make. Should prospective employers require additional information or clarification that is related to the ones that are disclosed in the reference form, the employer is also under an obligation to apply the same standard of care when responding to these queries. The employer has to consider whether the failure to do so may lead to the reference being incomplete, inaccurate or unfair. Thankfully, the law does not place an obligation on employers to give a full and comprehensive reference, ie. to disclose everything it knows about the employee whenever requested for by an employee. This is because it is difficult to determine what constitutes a full and comprehensive reference. Therefore, employers would provide information that is relevant to the job which his or her former employee is applying for and which is already known or disclosed to all parties, as well as facts that are relevant to his personal competencies and character. In addition, employers are not required to guarantee the accuracy or truth of a reference. They are only required to take reasonable care in preparing the reference. There are many ways to write a reference letter, some of which may open one to liability if it is not carefully and professionally written. Therefore, an employer should endeavour to familiarise themselves with this area of law and always be conscientious about the way a reference letter is written, the gist being to portray the employee in a true, fair and accurate manner. Have a question on employee references? 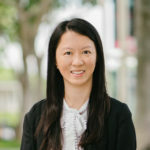 If you have any questions on employee references or employment law, you may get a Quick Consult with Lau Kah Mei or lawyers with similar expertise. With Quick Consult, a lawyer will call you back within 1-2 days and answer all your questions from a transparent, flat fee of $49. This article is written by Lau Kah Mei from LKM Law Corporation and edited by Lau Yi Hang of Asian Law Students’ Association. How can I claim compensation for workplace injuries in Singapore?